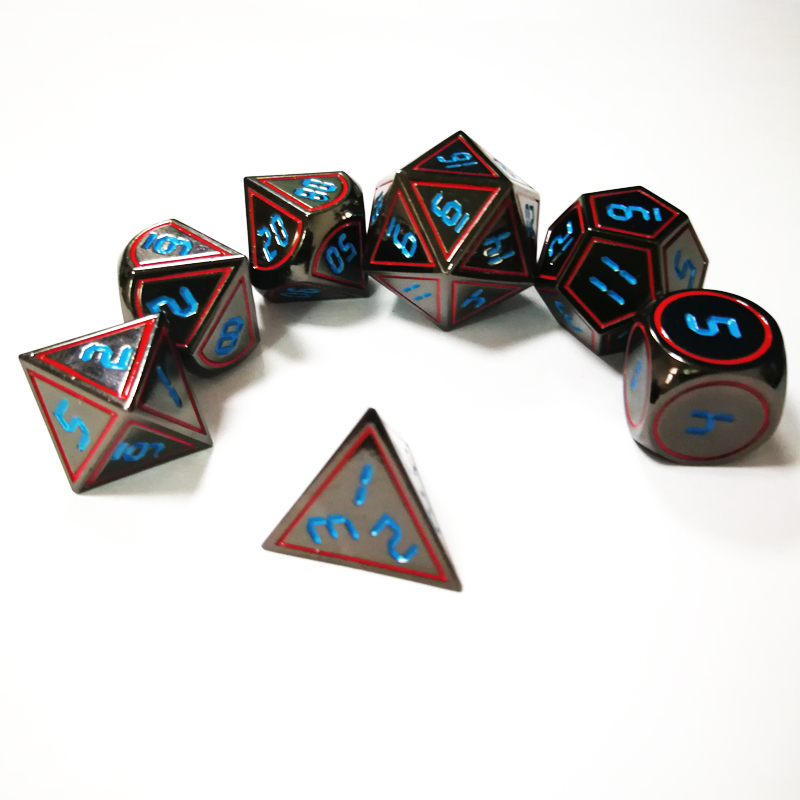 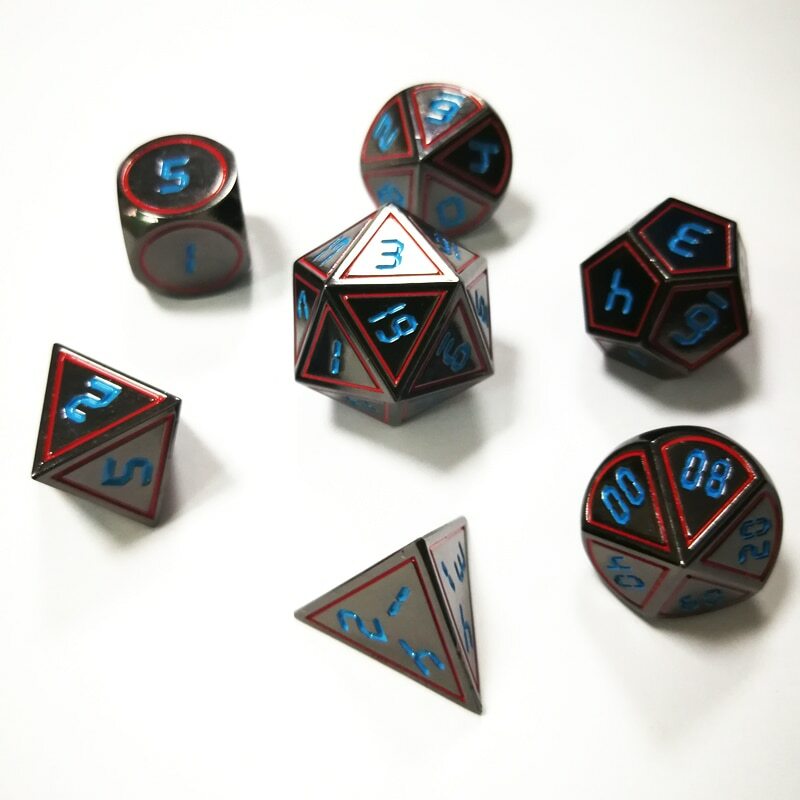 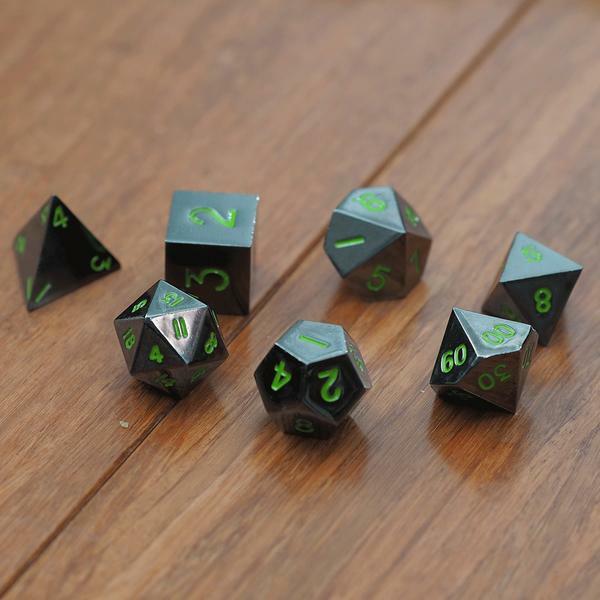 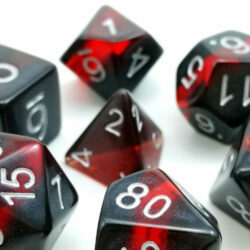 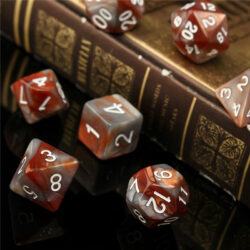 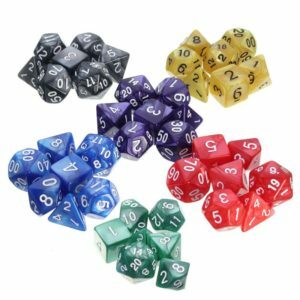 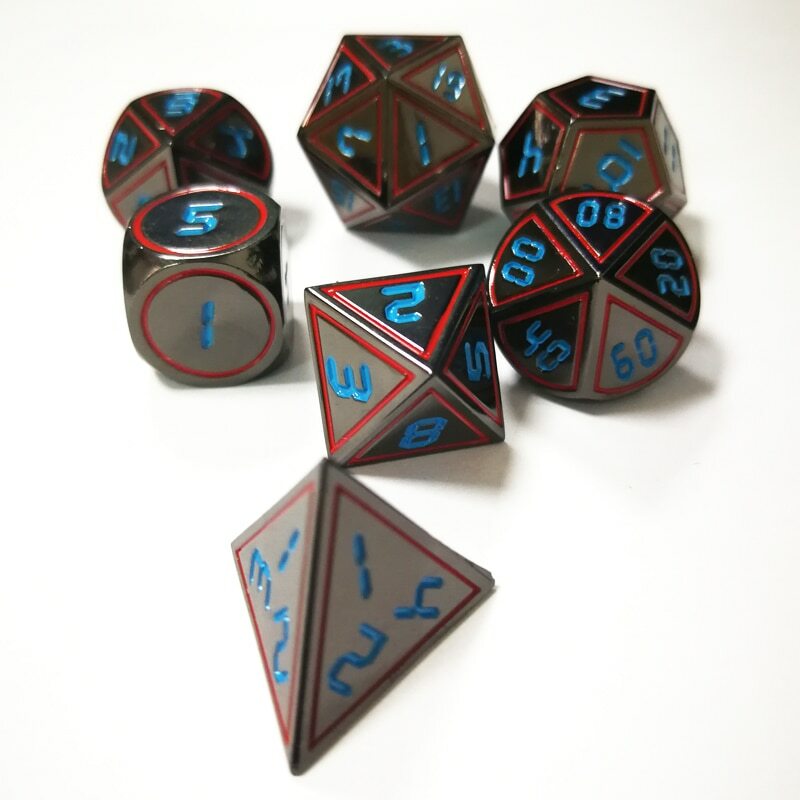 Techno Dwarf Metal Dice are sure to make a statement wherever you go, and these are guaranteed to wake anybody up. 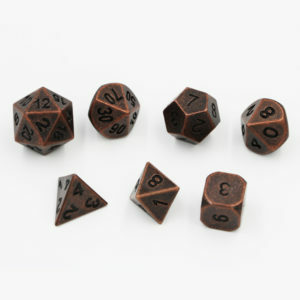 Not all fantasy is set in times of axes and shields, but Dwarven smiths are amazing no matter the time period. 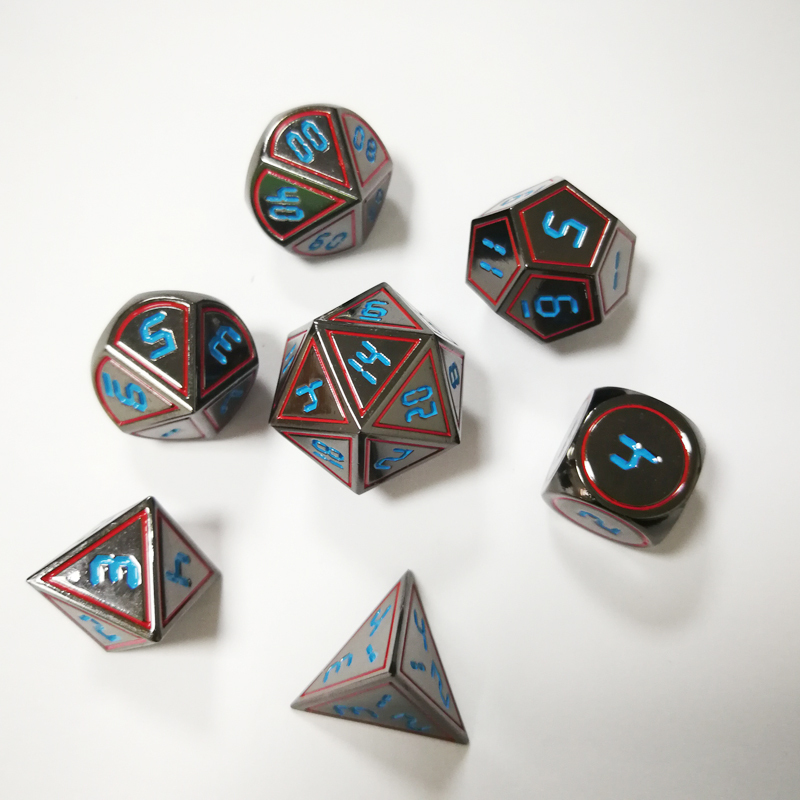 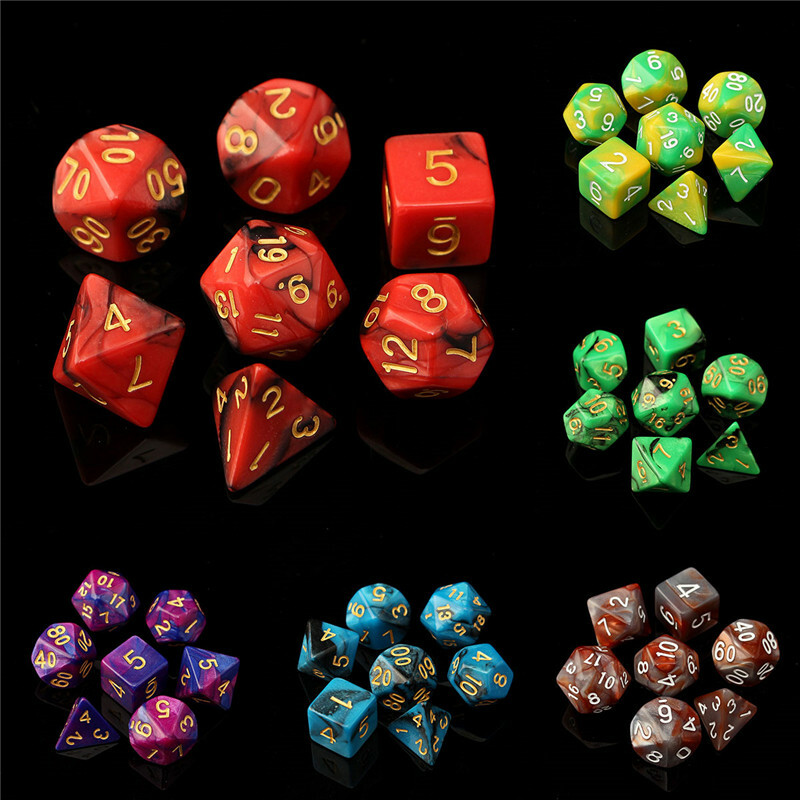 These unique dice are sure to make a statement at any table. 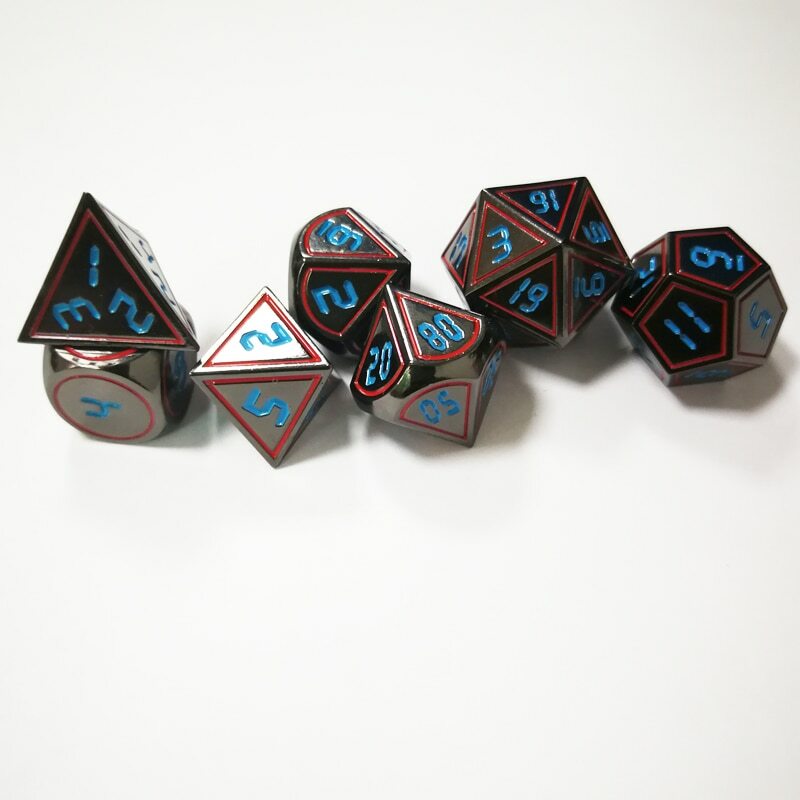 These Dice are sure to wake you up.